IMEX MD Paul Flackett has lost his fight against a long illness, the company has announced. 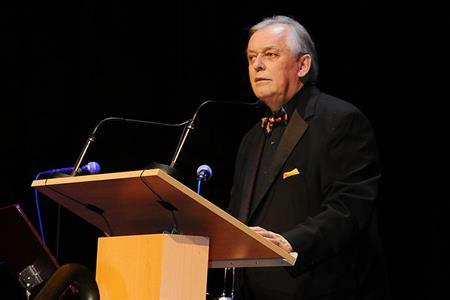 After several years of serious illness, Paul Flackett, managing director of the IMEX Group and long-time friend, collaborator and business partner of IMEX Chairman, Ray Bloom, has passed away. Paul was considered a great friend and valued mentor to industry colleagues in all corners of the world thanks to a career in the global meetings and events industry that spanned 30+ years. Bloom said: "Today is a day for deep sadness as well as fond reflection. Paul has been by my side as a friend and in business for over 30 years and was an inspiration to us all in how he conducted himself throughout his career, in particular the humour he brought to us all. "He was a friend and mentor to so many in the industry and I know that he will be greatly missed by all who knew him. Our thoughts are with his family and friends." During his career he was actively engaged with many industry groups, holding several association leadership positions. These included MPI, SITE, the SITE Foundation, Destinations International and ICCA. In 2004 he was presented with the Moises Shuster Award during the ICCA Congress for his outstanding contribution to the industry. His appetite for travel and his desire to play his part and get involved meant that literally hundreds, if not thousands of meetings industry colleagues the world over felt they ‘knew Paul’. He was also a passionate Manchester United supporter and a lover of cricket and heavy rock music. In recent months his illness meant he couldn’t take an active role in IMEX but his mood was buoyed by well-wishers who brought plenty of ‘bad jokes and good laughs’ to his bedside.